I am so sorry, to due to very slow internet contact I have not been able to publicize the volunteer postings earlier. Now I found a spot where it works!!! After a sightseeing day with Sveta in Kiev we went to Piski. We started our adventure in the Metro store together with Viktor. 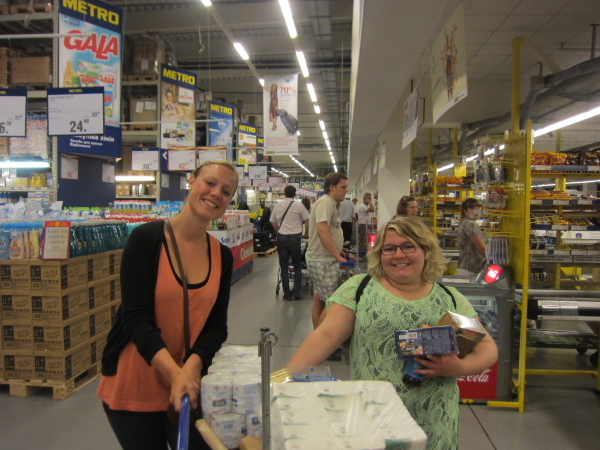 After one and a half hours we finally got all the groceries that we needed and left Kiev. We spent almost the whole of tuesday in the kitchen baking and frying. We made chocölateballs, cinamonbuns and meatballs. Nadja and Katja helped us, and we used simple phrases in English to communicate. 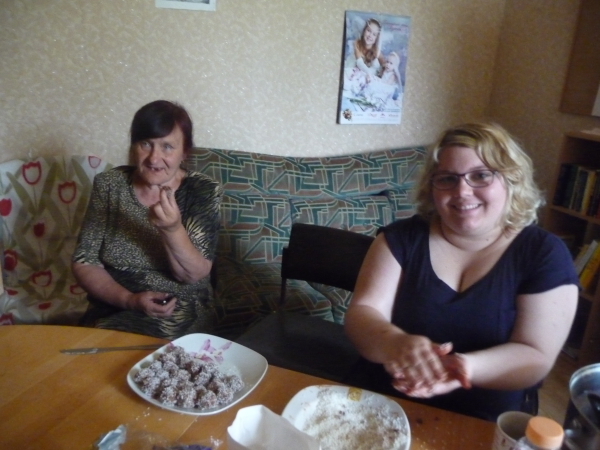 Stuart and Mirjam arrived to Piski today and we ate cake together.